Welcome to Our Online Store – Cool Belt Buckles Shop! Since 2001 we have provided our customers with one of the largest assortment of Cool Belt Buckles. We have one of the widest selection available online and our website is updated regularly with new items. All of our Belt Buckles are unisex, with different colors, sizes and shapes in order to please any age or gender! Cool Belt Buckles Shop brings to you only the best Buckles on the internet. Belt Buckles are in demand as fashion accessories, with many celebrities and performers, all wearing some of our outstanding Belt Buckles on TV, in music videos and Movies. Most of our Belt Buckles contain an impressive, epoxy color inlay application, that gives them their unique colorful, distinguished look and they are all lead free. Our Belt Buckles come only from reputable Belt Buckle makers and are offered to you at low, low prices!!! At Cool Belt Buckles Shop, you’ll definitely find the right Belt Buckle for you. Take advantage of our Buckle Specials. WE OFFER A COMBINED SHIPPING SPECIAL! Shipping & Handling to the U.S.A and CANADA - Pay only ($6.95 US) shipping for the first item and $2.00 for every other item purchased. :- We accept these credit cards [MASTER CARD, VISA, AMERICAN EXPRESS, DISCOVER and ECHECK. All through our PayPal Payments credit card Processor. PayPal will process your credit card payment just like any other regular CREDIT CARD processor with no membership required. If you are not a member, you are not obliged to become one! PayPal is the faster, safer way to pay and get paid online. The service allows members to send money without sharing financial information, with the flexibility to pay using their account balances, bank accounts, credit cards or personal financing. With more than 78 million active accounts in 190 markets and 24 currencies around the world, PayPal enables global ecommerce. PayPal is an eBay company and is made up of three leading online payment services: the PayPal global payments platform, the Payflow Gateway and Bill Me Later. please note:- THAT [PAYPAL CHECKOUT] CAN BE USED BY PAYPAL MEMBERS & NONE MEMBERS WITH A VALID CREDIT CARD! :- All items are posted in US Dollars, but if you pay with PayPal you can choose one of 5 currencies: U.S Dollar, British Pound, Euro, Canadian Dollar or Japanese Yen. - Please note that "Sales Taxes" are already included in prices! 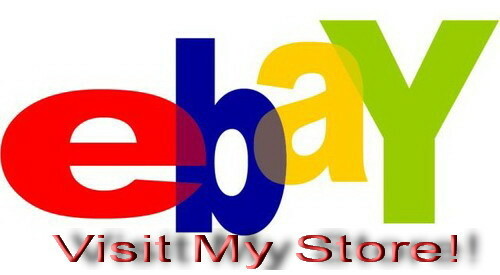 Shipping & Handling to the U.S.A, CANADA- Pay only ($6.95 US)shipping for the first item and $2.00 for every other item. : - NOT HAPPY! We have a 30-day money back guaranty. Merchandise Credit Return Policy Details: Customer service is our number one priority. Satisfaction is always guaranteed. If you are not completely happy, we'll gladly replace or refund your item, except shipping fees. Simply, send an email to us at service@coolbuckles.com within 30 days of the purchase date explaining the problem. (please make sure to reference item #). A member of our staff will respond to you within 3 business days. We’re not a retail store. Sorry no pick ups. *********************************************************** HISTORY OF THE BELT BUCKLE. Buckles were used in ancient Greece and Rome, particularly in military equipment and military dress. Buckles were first used commonly in the cheek strap of the Roman Galea, hence the word origin from the Latin bucca–cheek. Buckles were also commonly used in the Celtic civilisation. Because of the simplicity and durability of the buckle, it became popular in harnesses and embroidery, especially in shoes and boots. It was commonly used as a typical clasp for clothing until the zipper was invented. The buckle is most commonly used for belts, although it is still used in shoes and particularly boots. Tanker Boots employ the use of buckles because of the disadvantages of laces. Buckles can also be seen on backpacks, watches and other wrist jewelry, or for ornamental purposes on other various objects. Buckles are also commonly seen in modern Gothic Fashion. The effect of cowboy belt buckle is known until today. Every cowboy usually use belt buckle which has a very typical design and also can be used as their identity. Several of the most wanted belt buckle designs consist of the American eagle and patriotic flag belt buckle which is very common design on belt buckles not to mention a great seller for manufactures. If you see these days popular design is the cowboy riding the bronco, and the Confederate Flag. Talk about the symbol of eagle comes in many variety, some show the eagle's flying, or just the eagle’s head. The cowboy belt buckle did not found until the first of 20th Century. As the idea of collecting old and antique belt buckles of the popular cowboys who travels the ranges of the Wild West is great, but in the reality of it was all cowboys usually wore suspenders or buckles that were derived from military friction buckles. Then when Hollywood is gaining their fortune, the Western Movies that gave rise to what is we know today as the Western Belt Buckle. If you notice there are smaller belt buckles which has size less than 3” inches and very popular among women while the men has other taste for belt buckles that are larger than 3" inches. These are typically what people think of when they hear "Cowboy Buckles". Most designs, shape and patterns on the larger belt buckles usually come in many options. A lot of them are simply for ornament, eg: the shape of gold cowboy boots, a horseshoe, a cowboy riding a horse, and etc. You could say that the cowboy belt buckle is very rustic and stylish also a perfect bet for any one who intend to collect them. Smaller buckles often have more elaborate pictures to compliment their size. Horse cameos are predominantly popular, as are illustrations of the western lifestyle, such as a miniature cowboy on a bucking bronco. *********************************************************** What is a Pewter “BELT BUCKLE” ? is an alloy or mixture of metals that can contain various percentages of tin, lead, antimony, bismuth, copper or silver. The best pewter or "Fine Pewter" contains at least 92% tin and no lead. Antimony and bismuth add varying degrees of strength and/or hardness. It is sad to note that some low grade pewters contain as much as 80% lead. These are to be avoided, especially if the pewter will be used in contact with food or beverages. Heritage PewterTM is high grade "Fine Pewter" which is lead-free. All of the products in this site are fine pewter. How To Clean Pewter Pewter can be cleaned or renewed in several different ways. 1. Wiping with a damp cloth can remove many stains or dust build-ups. 2. If the item has a highly polished finish, some light tarnish can be removed with pewter polish (similar to polishing silver). Do not use silver polish on pewter. You can obtain pewter polish at higher-end retailers who sell pewter serving items. 3. If the item has a satin or matte finish, you can rub it gently with very fine "0000" steel wool. It is best to try a small a spot on the bottom first to see how it looks. What Is My Pewter Worth? We get many calls questioning the value of an old pewter piece that someone has found or acquired. Our best advice is to take the item to an appraiser in your local area. An experienced appraiser can best determine the value of an item after inspecting it. In the 1970’s, many farm implement companies used belt buckles bearing their companies names as a form of advertising. The Hesston Company also followed the trend and commissioned their Ist buckle in 1974. It was made by Ruebrow Manufacturing, Brooklyn, NY. Approximately 15,000 were made. The 1974 Buckle promotion was unsuccessful, so Hesston decided to try another approach. They approached Rodeo Cowboy Association about the possibilities of televising the National Finals Rodeo. The plan was to target Texas, Oklahoma and Kansas. So in order to test its effectiveness, they asked each dealer to supply a list of 150 customers and prospects in his area. Hesston then made a direct mailing to the customer asking them to complete a questionnaire stating whether they watched the NFR program and if they would watch it again. The customer then took the card to their dealer to be validated and the company mailed them a 1974 Hesston buckle. This allowed Hesston to disperse all of their Ist buckles. Associated Advertising Agency, along with Gene Countryman. Director of Communications at Hesston (now with Wichita Tourism Bureau) decided to try another buckle, the 1975 and sell it. They had a design drawn by Bill Manley, in-house artist of Associated Advertising Agency and the PRC Rodeo Association approved it. The buckle was made by Lewis Buckle Co. of Chicago. It was made by being cast in a rubber type mold. It took a long time for the order to be filled. 50,000 buckles were made. The buckle became a successful collector's item because of an imprint on the back. Limited addition, collectors buckle. Bill Manley designed a total of 10 Hesston buckles. He is now deceased. 1975 was the only year that Hesston made a boot scraper. The 1976 buckle was produced by A&E Die Casting, Gardenia, CA. This company was purchased by Mattel, (makers of Hot Wheels toys) and they completed the contract. The die was produced by an outside firm, by an old German engraver who retired after finishing the die. With the aid of a magnifying glass, you can see tiny stars in the background. Approximately 125,000 buckles were produced. The 1977 was the Ist one to be oval shaped and was produced by Cast Products, Chicago, IL. Approximately 150,000 were made. Also in 1977, the Ist numbered silver buckle was made for Dealer incentives. Also, a Pro Rodeo belt was made. 1977 was the only year for a license plate promoting Professional Rodeo. It was made and available only to Territory Managers and Dealers. 1978-Fourth edition of Rodeo series again made by Cast Products of Chicago. From here on, there is no record of how many buckles were made. The silver dealer promotional buckle made again. Ist year for the pewter ash tray. Only year that they were available for sale to the public. After 1978, they were only available to Territory managers and dealers. 1979-Again produced by Cast Products of Chicago. Ist NFR stick pin was made. Also Ist set of 6 Leather Coasters were made, included the 1974 buckle design to have a set of six. 1980-Sixth edition of Rodeo Series. No record of who made them. 2nd set of Leather Coasters made. Rodeo Series. 197,75-1980 buckle design on them. 1981 7th Rodeo Series. No record of manufacturers 2nd stick pin. Ist hat pin made. Ist Bronze Sculpture "The Bul1 fighter" was made. Limited Edition of 480 were made. No record of who the, Sculpturer was. 1982- The 8th final cowboy Classic edition buckle. The 2nd Bronze sculpture 'The All Around Cowboy" was made. Limited to 500 pc. ADM made the Ist die for the Hesston buckle. 1983- First Edition of the anniversary series. 1983 is the 25th anniversary of the National Finals Rodeo. Last buckle designed by Bill Manley. In 1983 Award Design Metal made the Ist Sterling Silver and 24 karat gold plate buckle. In 1983 and 1984, Hesston cast the buckles and Award Design Metals finished them. ADM also produced the dies. In late 1984, Award Design Metal bought the Hesston Buckle machine and has produced the buckles since. 1984-1989 Buckles were designed by Fred Fellow. 1989 Special Edition "Barrel Racing" buckle. This was the only year that 2 buckles were produced with different designs. Also, this closed the Anniversary Series. 1990-First Edition of the Hesston National Finals Commemorative Series. This buckle was designed and produced by ADM.
1991-Second buckle in the Commemorative Series. Designed and produced by ADM.
1992-3rd buckle in. series. Produced by ADM. Don’t know who designed it. 1993-4th buckle: in Series. Produced by ADM. Don it know who. designed it. 1995-No information available at this time. We hope that this is welcome information. As we began, we wound up with about 4 times as much material as we used, Again, Thanks to all who helped.